Countless talented people fail. They are better equipped through some natural gift, some set of experiences, or through training. It is clear to everyone around them that they have greater competencies and greater abilities. Almost all of these talented people recognize that they are more talented than their peers. The reason these talented people fail has nothing to do with their lack of talent and everything to do with their unwillingness to put that talent to work. Talented people sometimes believe that talent alone is enough to succeed. But being unwilling to do the work, they fail. Some people who work very hard fail, but not nearly as often as the talented person who is unwilling. A hard worker tends to produce results through the sheer force of will. They’re willing to just keep at something until they produce some result. When hard workers fail it is because they believe that working hard alone is enough. Because they don’t work at learning more and improving their effectiveness, they fail. I have seen many a hard-working salesperson fail because, despite their willingness to work, they wouldn’t work on developing their chops. The question anonymous asks supposes that talent and hard work are mutually exclusive, that you can be one or the other. But the most successful people are the talented people who work hard putting those talents to good use. They are matched only by the hard worker who is thoughtful enough to learn quickly, make distinctions that produce better results, and hustle to grow their overall competencies. The only choice to made is whether you are going to work hard if you are gifted with some talent, or whether you are going to develop yourself and learn if you are a hard worker who lacks the natural talent. 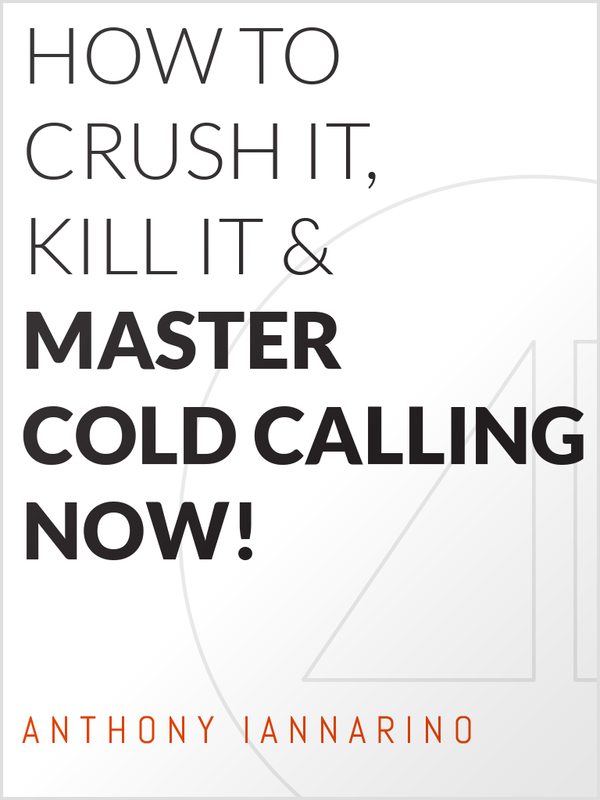 Want to master cold calling? Download my free eBook! Many would have you believe that cold calling is dead, but the successful have no fear of the phone; they use it to outproduce their competitors.